Whether it’s a weekend city break or a longer trip away, if you’re taking your camera, then a tripod is an essential item of kit to take with you. Without one, you won’t be able to capture those striking early morning or low-light images, where a solid support is essential. Standard size tripods are fine if you haven’t got to walk far or are prepared to lug it around, but they’re cumbersome when you’re away from home, which is where travel tripods come in. Smaller in size, they’re much easier to carry around (and to fit in your suitcase), but still stable enough to shoot long exposures with. 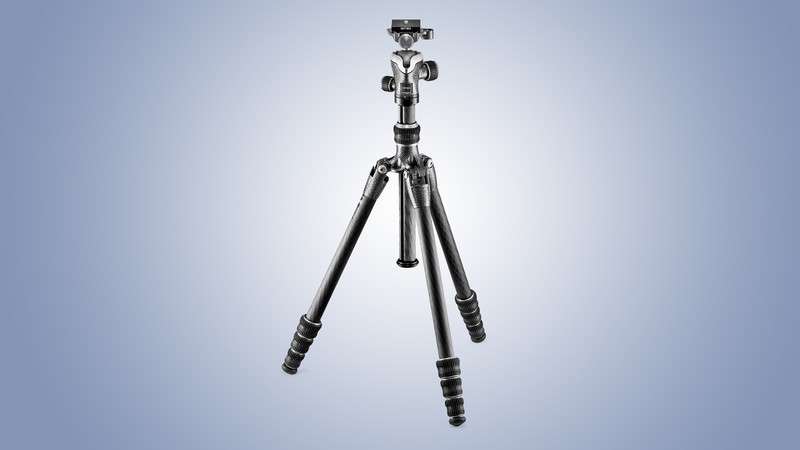 There are a host of aluminium construction tripods available, but we’ve opted to look at the carbon fibre options here – they cost more, but they’re lighter than aluminium alternatives. A tripod’s no good without a head to set the camera on, and we’ve picked models that feature ball heads, offering quick adjustment as well as benefiting from small proportions to ensure they take up the least amount of space when you’re traveling with them. 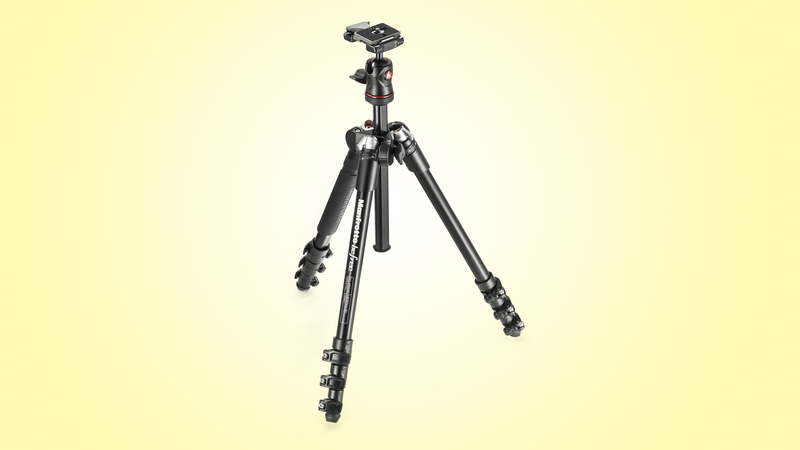 Choosing a tripod isn’t just about selecting the smallest and lightest model. Indeed, picking the lightest legs isn’t always the best plan. Marginally heavier alternatives won’t be a noticeable burden, but they can provide much more rigidity and versatility. 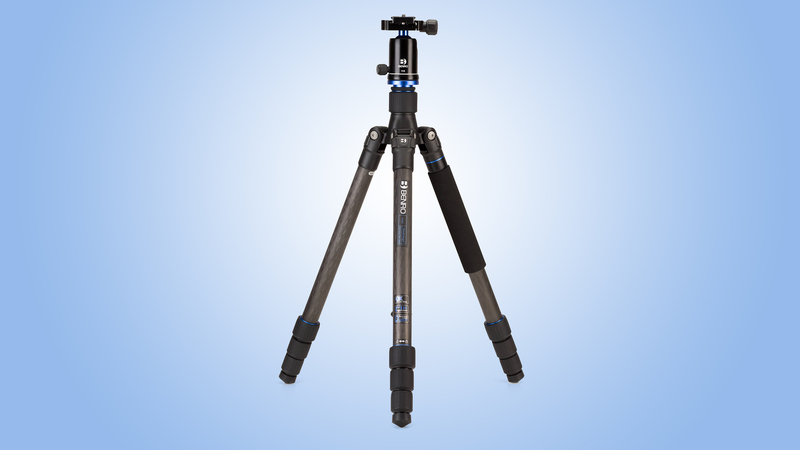 All of these tripods use a carbon fiber construction to save weight, but this ups the price. Some models also have aluminium counterparts. Each includes a compact ball head, but check carefully: a ball that’s too small for a larger DSLR will become a precarious balancing act. Fancy travelling in style? The GlobeTrotter will help you stand out: it’s available in red, green and blue finishes, as well as black or titanium. A 12kg capacity is enough to stand strong under all but the heaviest DSLR setup, yet the tripod tips the scales at just 1.68kg. The GlobeTrotter’s measurements are just as well-balanced, with its 163cm reach retracting to a modest 42cm. Spiked feet and a capable ball head with adjustable friction enhance versatility. 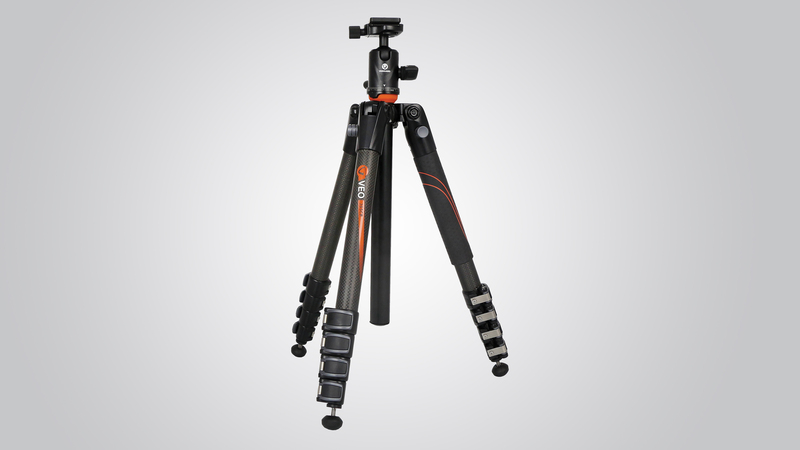 The monopod conversion feature is the same as the Benro’s (see below) – Benro is MeFoto’s parent company, which explains the GlobeTrotter’s top build quality. The VEO seems average on paper – its 1.5m extended height, 39cm closed length and 1.5kg weight are nothing special, but this balanced approach keeps things portable yet versatile. The five-section carbon legs are mated to rock-solid extension clamps and rubber feet with integrated spikes. The included ball head is just as capable, holding steady under a large DSLR with a 70-200mm zoom attached. 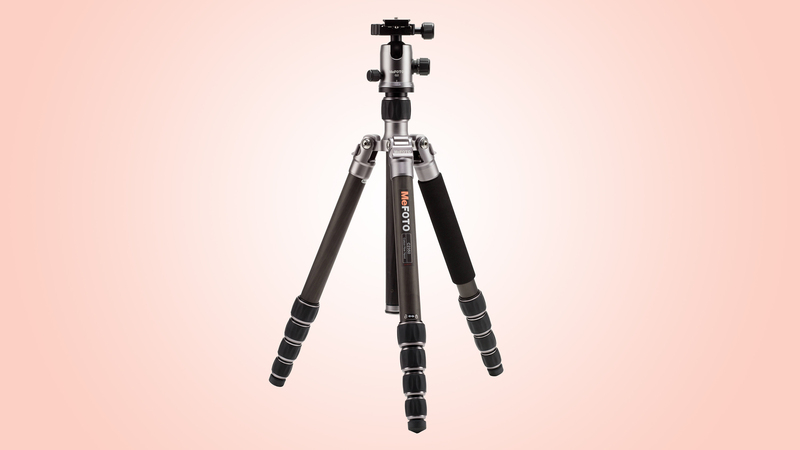 Unlike most tripods here that are set up by flipping the legs down from the head, the Veo only needs you to swing the centre column up. It’s a speedy system, although once clamped upright, there’s slight play in the ball joint. Despite the legs only extending to 133cm, this pays off when you’re on the go, as the 36.5cm closed length is the shortest here, and at 1.29kg only the Befree is lighter. Gitzo’s four-section Carbon eXact leg tubes manage to defy their slim diameter and stay amazingly stiff, making the 10kg payload rating entirely credible. The quality and precision of the other components is just as uncompromising. The bundled ball head features separate pan locking, and its 32mm ball diameter is just about large enough to support a full-frame DSLR. At 1.81kg, not even carbon fibre can stop this lining up alongside the FLM as the heaviest platform here, while the 47.5cm packed length also makes these the longest legs on test. But on the upside, the Travel Angel will raise your SLR higher than the competition, with the four-section legs and centre column extending to a lofty 170cm. The nine-layer carbon construction results in a 10kg payload rating, and grippy twist-lock leg clamps, a sturdy ball head and a set of spiked feet are great to have. The Travel Angel’s stand-out feature is a removable leg that screws to the centre column to form a monopod. The Befree weighs a scarcely believable 1.1kg. Its 40cm packed length is almost as impressive, but the ageing design doesn’t cut it so well for shooting. Even carbon fibre isn’t enough to stop the legs from significant flexing, and that’s reflected by a modest 4kg payload rating. Manfrotto’s leg angle selectors are also fiddly. The ball head’s crash diet means you only get one clamp to adjust the ball and pan base simultaneously, and the tiny ball will struggle to effectively support anything bulkier than a medium DSLR with kit lens. The BeFree revolutionised travel tripods, but now this set of legs could do with some crutches.